Come and try your local motorcycle workshop for all your motorcycle needs. 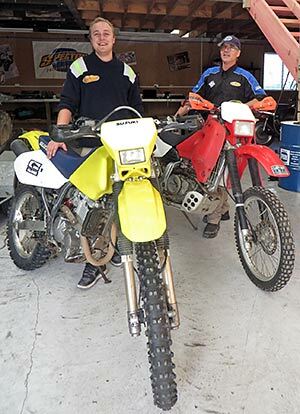 At Helensville Motorcycle Services we service and repair all makes and models of road, farm and dirt bikes, including: Yamaha, Honda, Suzuki, KTM, Kawasaki, Triumph, Harley Davidson and Ducati. We can also service your ride-on mowers, quad bikes, and life style tractors. We stock a range of batteries, spark plugs, filters and oils in store. Warrant of Fitness (WOF) checks while you wait. These take approx. 20 minutes and should be booked in advance. Friendly staff providing a first class service. We sell a wide range of parts and consumables, and stock batteries and oils.